©2015 50" x 62" (Throw, shown in photo), 84" x 98" (Queen). Vintage military timepieces used during the Civil War are highly sought after by collectors, especially key-wind silver pocket watches. 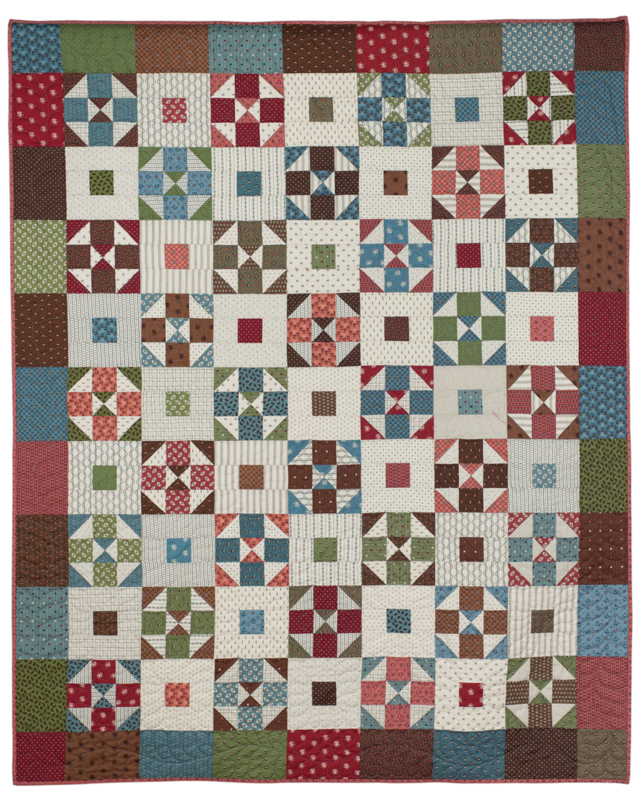 Make the 6" blocks for a throw- or queen-sized quilt from a fat-quarter bundle of coordinated prints or from your scrap bag.